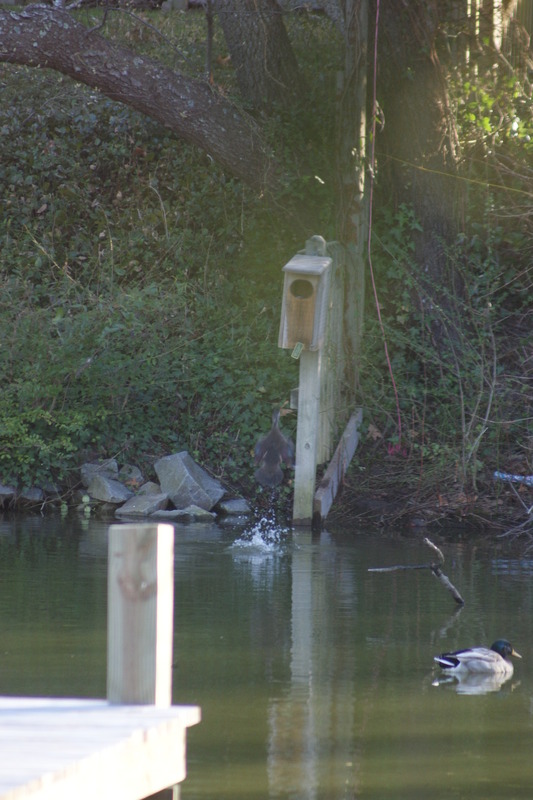 How much wood would a wood duck duck if a wood duck would duck wood? We have nightly entertainment as we sit in our kitchen eating dinner and looking out the window. 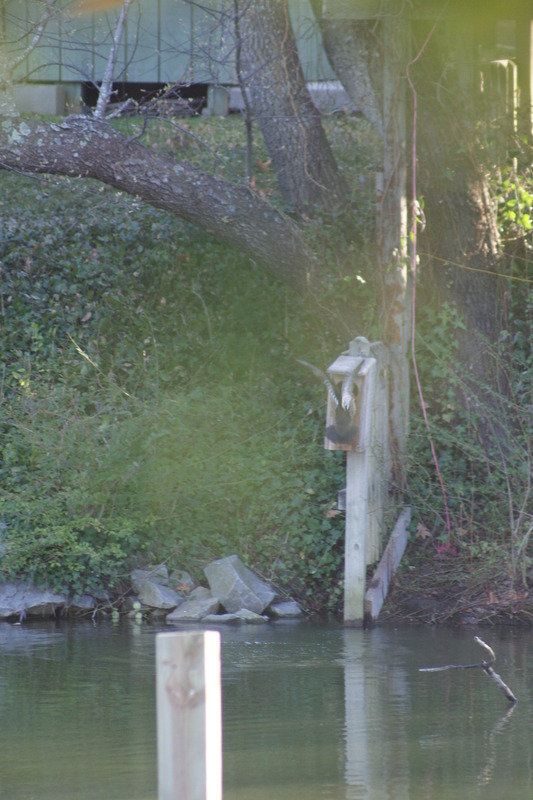 This winter we got permission from our neighbor across the canal to put a Wood Duck house up at his waterline. Sure enough, just a couple of weeks ago, we got tenants. Just one problem. 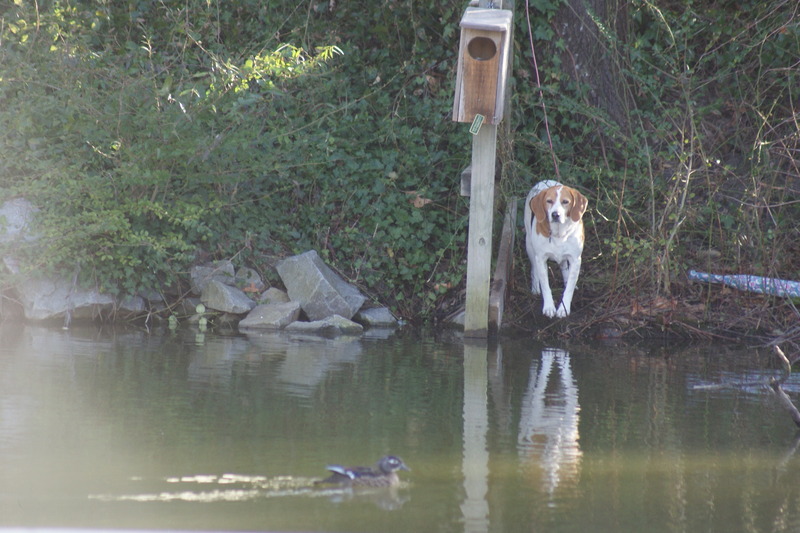 The neighbor’s beagle takes grave exception to these squatters! Though she can’t possibly get into the house, she nonetheless lets her angst be known. 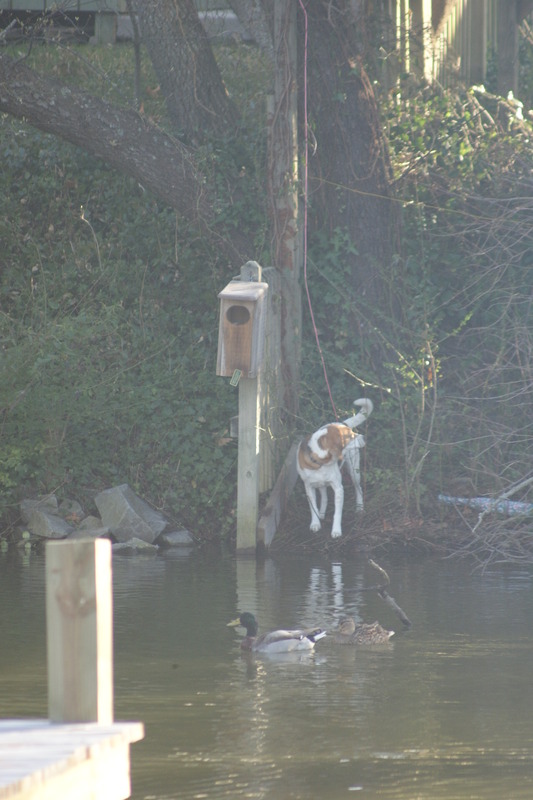 Each time she gets near the house, the male duck flies out and swims around to distract the dog from momma and the nest. 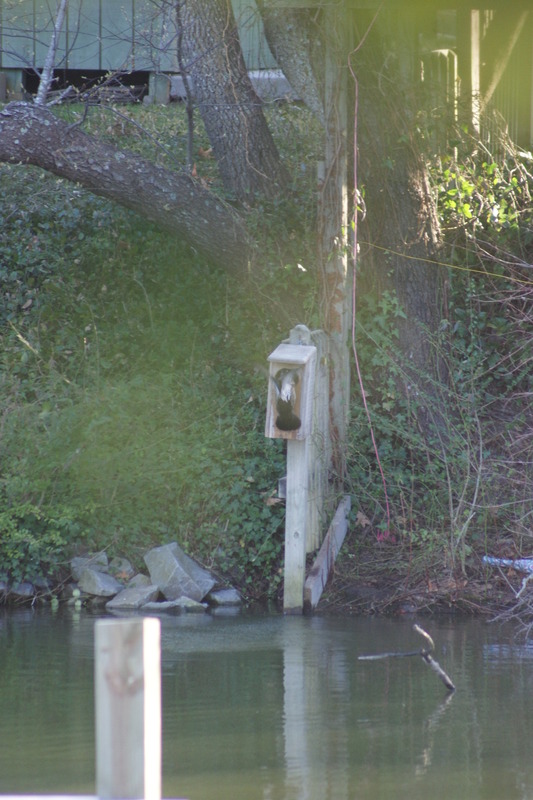 Sometimes, if he’s feeling lazy, he just perches on a nearby branch in the water. 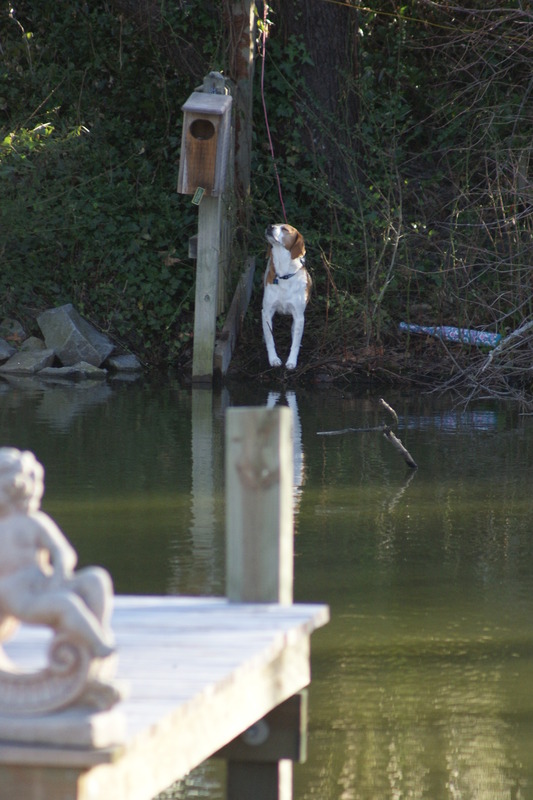 After the dog finally believes he has established his territorial rights and leaves, the duck flies back up into the house. This ritual goes on pretty much every evening and appears to fascinate even the mallard ducks and Canada geese that inhabit the same area. The pictures below should give you an idea of the sequence of events. This entry was posted in Misc and tagged Beagle, Dinner theatre, Wood Duck. Bookmark the permalink. 39 Responses to How much wood would a wood duck duck if a wood duck would duck wood? You have the perfect back yard! I would spend all my time just sitting out back and watching all the activity. Great photos. Come warmer weather that’s exactly where you will find me! I love reading the comments of your followers as much as I love your blogs. More bang for the buck, so to speak. You’re right, Bernice. It’s the most fun part of blogging. The dog knows it can swim, right? LOL, Jodi! I think it would rather be able to fly! When the hatchlings arrive, you may have the pick of the litter, for free.. Just send about 1000 pounds for the postage. That poor hound………so close, and yet so far! You definitely have a good view of the action, Al. 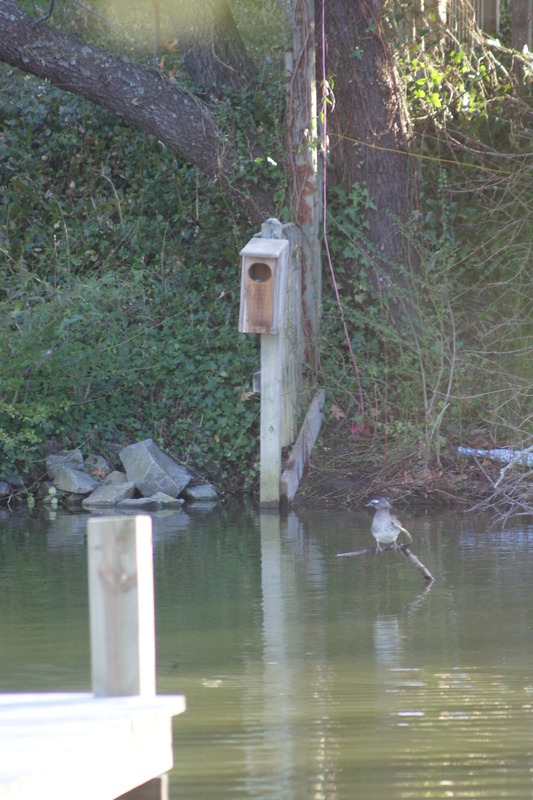 I didn’t know wood ducks nested in houses. This should be fun to watch! I wonder if they would use it if it was made of metal? Thanks, Jeri. Do you think I have a future at National Geographic? These are great photos. So glad to see you have new neighbors. 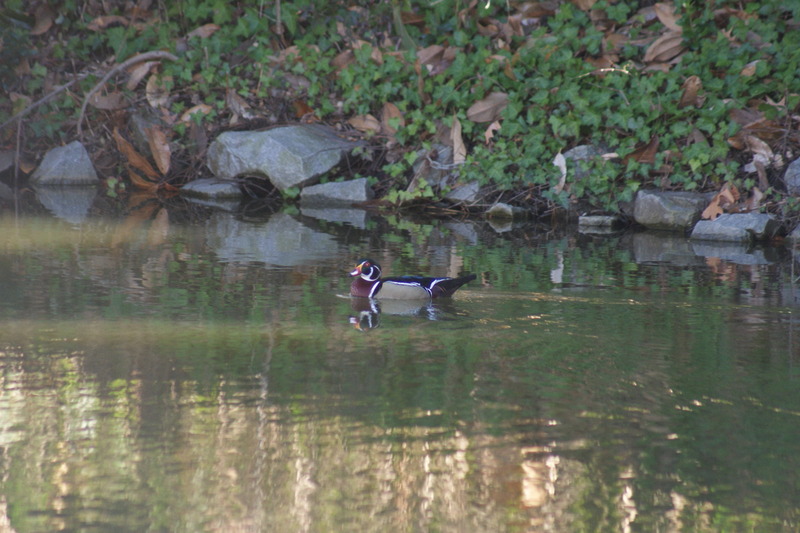 Wood ducks are so beautiful they don’t even seem real. When we get hatchlings, we’ll send them over to you for feeding. By the way, love your new gravatar. Who drew it? That is courtesy of my youngest granddaughter when she was 8 years old. She lives to get reactions out of me! Glad you like it. It came from this blog…https://thecvillean.wordpress.com/2011/06/19/nailed-to-the-wall-a-grandfathers-tale-for-fathers-day/. P.S. You’re one of the first to comment on this. Most people probably didn’t notice the difference…. Oooh, a low blow! OK, that’s it, the gloves are off! For some odd reason, I knew that was coming. Well, now they do! Thanks! I almost didn’t read the post because I didn’t recognize the avatar. I thought Al’s blog was hijacked by somebody with some “issues”. Anybody hijacking this blog would have to be pretty desperate to get published. One of my readers dared me to use that as my avatar after she read the post it appeared in. I never turn down a dare. (Yes, I’m still in 4th grade psychologically). And isn’t there a law in your state about Peeping Als? 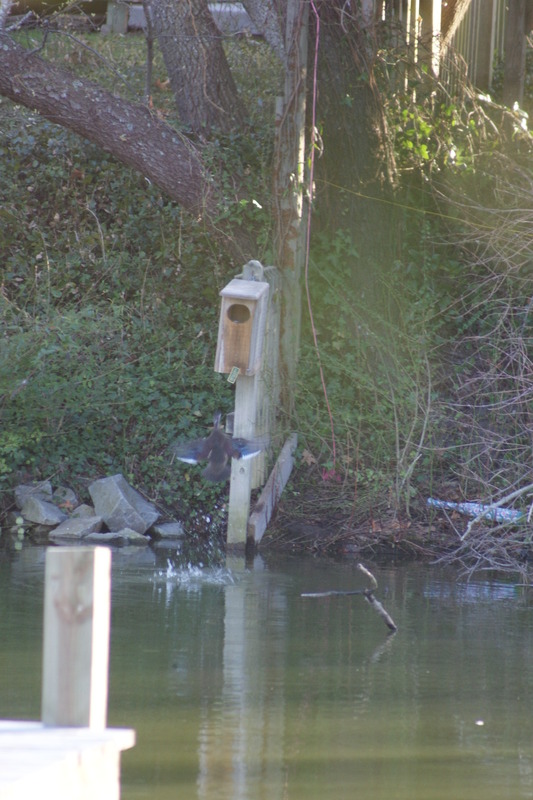 This duck house needs some blinds. C’mon, Lorna, I know you have a racy side. What’s wrong with a little R-rated entertainment at dinnertime? Al’s just nostalgically revisiting his high-school hairdo. My high school picture should have looked this good!